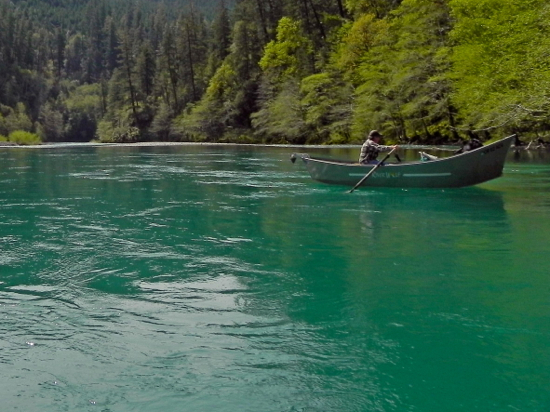 This temporary withdrawal is being considered "in-aid-of legislation," to give Congress time to act on the Chetco River Protection Act. This bill, introduced in the last Congress by Senator Wyden, Senator Merkley, and Congressman DeFazio, would permanently safeguard the Chetco from new instream mining proposals in its designated Wild and Scenic reaches. The Forest has recently forwarded its recommendation to the Bureau of Land Management (in charge of minerals), and after consideration by that agency, and many other steps within the federal agencies, it will ultimately be considered by the new Secretary of the Interior, who will make a final decision on the 5-year administrative withdrawal. 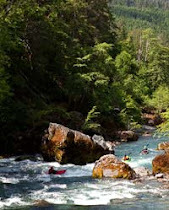 In order to protect the Wild & Scenic Chetco from new mining claims, the Secretary must officially withdraw the riverbed and lands along the river before the current, temporary segregation expires in July of 2013. Timing is crucial, here. Otherwise, the river will be opened again to new claims, and we could be back to square one—facing the same kind of large-scale, instream mining proposals that we had a few years back, with all the potential conflicts, costs, and risks. Beyond the short-term, 5-year fix that this administrative mineral withdrawal will hopefully afford, our Senators and Congressman DeFazio need to re-introduce the Chetco River Protection Act and work towards its swift passage in the new Congress in order to safeguard the values of this National Wild and Scenic River for the future. See the "how to help" page for tips on writing to Oregon's congressional delegation.